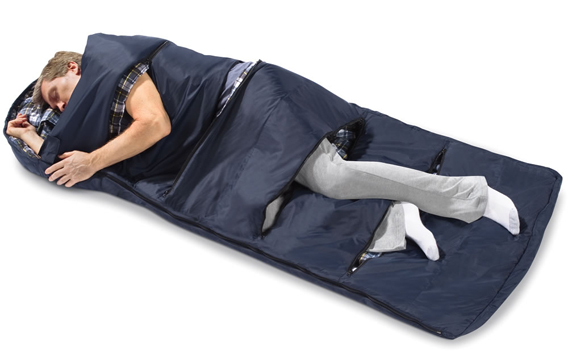 Camping can be cool, but zipping yourself into a sleeping bag isn’t exactly comfortable. You might feel warm and cozy at first, but after a while things start to heat up and you have to unzip the entire bag to cool down. 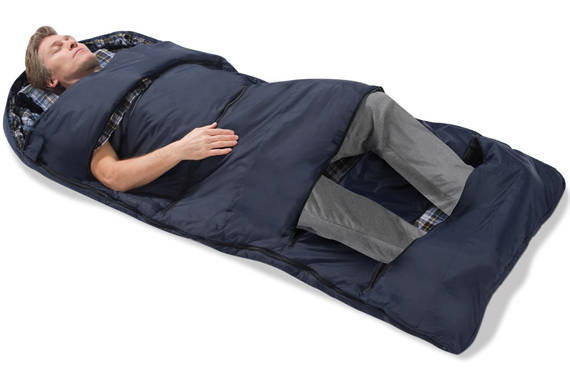 The Zippered Vents Sleeping Bag changes everything and makes me wish I could have a soft bedroom blanket that goes something like this. Using four zippered vents (near the ankles, knees, waist, and chest) so you can cover only as much of your body as you wish, your sleeping temperature is better controlled whether you’re lying underneath the stars or camped out on the couch.